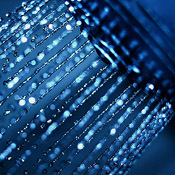 Tired of wasting water and time waiting for hot water to reach your shower, tub, or faucet? With a hot water recirculation pump installed on your home, you will save energy, money, and water. A recirculation pump is used to keep a constant supply of hot water available on demand throughout your how. Instead of letting the water that you already paid to heat cool off in those pipes when not in use, a special pump is installed on your water heater in conjunction with a special return valve on your cold water line, providing a constant recirculating flow of hot water. No more waiting, no more wasting water for your shower to heat up. With a hot water recirculation pump, you are helping California’s already tough drought situation. Instead of wasting 2 – 3 gallons waiting for your water to heat up for a shower, you can instantly have hot water. That’s a savings of almost 12,000 gallons a year(based on typical water usage for a family of four). Hot water recirculation systems can be installed on your existing tank and tankless water heater systems. Combine with a tankless water heater and your savings compound! Earl’s Plumbing provides hot water recirculating pump installation, service, diagnosis, and repair. Call today for a free quote on getting a recirculating pump installed in your home and start saving money, and conserving water.